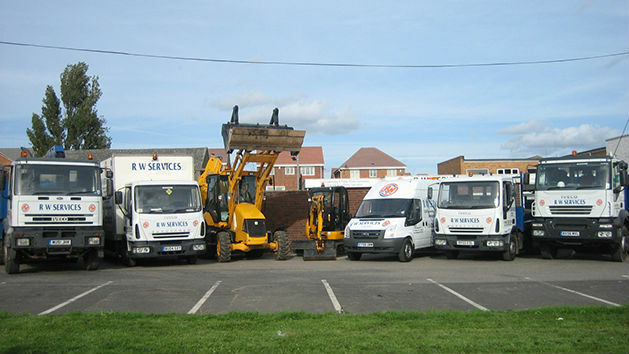 Founded in 1979, R W Services Contractors Ltd is one of the leading groundwork and civil engineering contractor for West Midlands local authorities, utility companies and major contractors. Based in Streetly we are continuing to build upon our foundation of knowledge and experience continuing to work as both the main contractor or as specialist subcontractors on commercial, industrial and residential properties. Our ability to provide a comprehensive and responsive service to our customers has earned us awards for ‘Considerate Contractor’ and ‘Customer Care’. We have been reviewed and accredited by numerous industry bodies including the British Safety Council, Construction Online, CHAS and are quality assured to ISO 9001. All new employees are evaluated with regards to what training they may require, Health and Safety training is standard for all employees. Relevant training is completed as soon as possible and all employees are expected to adhere to our company policies including quality, health and safety, drugs & alcohol and customer care. Working with organisations such as Birmingham City Council and Severn Trent Water, we have successfully completed numerous highways, drainage, earth retention and other large scale projects, all to the highest of standards. With nearly 40 years of groundwork and civil engineering experience, you can feel assured that your project is in good hands.